Grab a mountain bike and head for the hills! 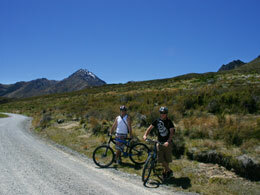 Explore the New Zealand High Country or the Hamner Forest Park up close on one of our mountain bike hire options. Hanmer Springs is a great place for mountain biking, with excellent tracks available for all levels of expertise and fitness. 1 hour: Herdsman Ave and Camp Walk Loop. Suitable for all levels, this gentle ride in the Hanmer Forest Park among mature trees is the perfect way to get into the Hanmer landscape for a short time. Particularly suitable for families with younger children. 2 Hours: Dog Stream Track. For the more adventurous mountain biker! Hill climbing, stream crossings and narrow winding tracks make this a two- hour fun filled experience! 4 Hours: choose your own route. Take a ride on one of the many mountain bike tracks in the region. Choose a beginners’ Intermediate or Experienced level track and enjoy the thrills of mountain biking! Day Hire: choose your own route. Your bike can take you around the village, up into the mountains or along one of the many forest tracks. There’s plenty to see and do right here at Hanmer Springs! All prices quoted are for standard bikes – full disc braked bikes are available for an extra $10.00 per person. All our bikes receive regular maintenance checks. You will be personally fitted with the right bike for your physique and purpose. Cycle helmets and trail maps are included in every hire. 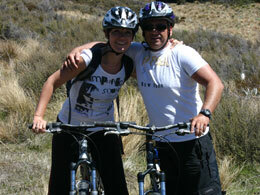 For the ultimate mountain biking experience in Hanmer Springs, choose our twin passes deal! Travel to the top of Jack’s Pass (3000 ft) by shuttle where you adventure begins! 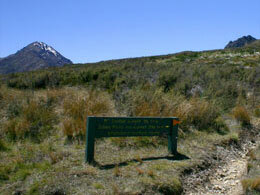 Explore the unique South Island High Country between Jacks Pass and Jollies Pass. 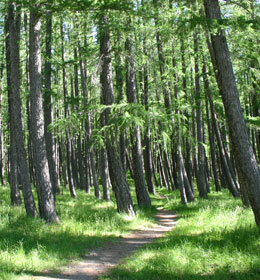 over historic Jollies Pass and down through forest into the township. Return to Hanmer and relax in the Hot Springs after your ride.